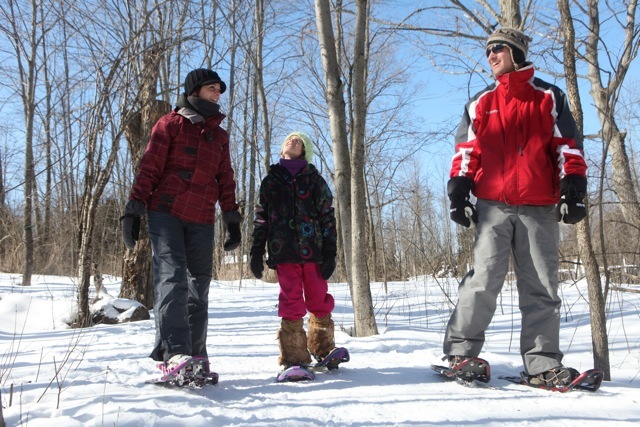 No snowshoeing experience required, but please note that the trail conditions are considered moderate and at times 'off the beaten path'. Cost: $65 + hst per person, snowshoes provided. Includes a complimentary day pass for you to come back and visit us again! Online registration below through PayPal. You do not require a PayPal account - simply purchase using VISA/VISA Debit or Mastercard as a 'guest'. Cancellations can be made with 48 hours notice. Please call us at 705-526-7809 if you need to cancel or re-schedule your experience. Please call us at 705-526-7809 if you require assistance with your registration.